Professor Bergeron is a specialist in 19th-century U.S. history, with particular emphasis on the antebellum period. He also has regional specialties in both Southern history and Tennessee history. 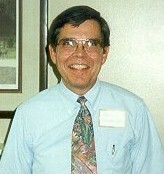 Because of his full-time involvement with the Andrew Johnson Papers Project from 1987 through 2000, Professor Bergeron had limited teaching responsibilities during that time. He has regularly offered 500-level and 600-level graduate seminars in Antebellum America. He has been actively engaged in directing M.A. theses and Ph.D. dissertations across his career at the University of Tennessee. He has directed 20 theses and dissertations and has three currently in the pipeline. Moreover, he has served on 20 dissertation committees and 5 M.A. thesis committees. In October 2001, he was one of five invited lecturers who participated in the Fifth Annual Civil War Symposium at the Pamplin Historical Park in Petersburg, VA. His lecture was entitled: "The Three Lives of Andrew Johnson: U.S. Senator, Military Governor, and Vice President."